AdLift is a self-service module for production of ads for web and print. Easy and user friendly for the customer – effective and time-saving for the publisher. AdLift provides a clear and user-friendly interface for the customer. The customer inserts name and contact info, chooses type of ad and template, and adds text and images. After uploading the user can rotate and crop uploaded images. When the user has completed the ad, it is exported to web / print versions and added to i.e. the Cargo Ad Portal from Laidback Solutions. 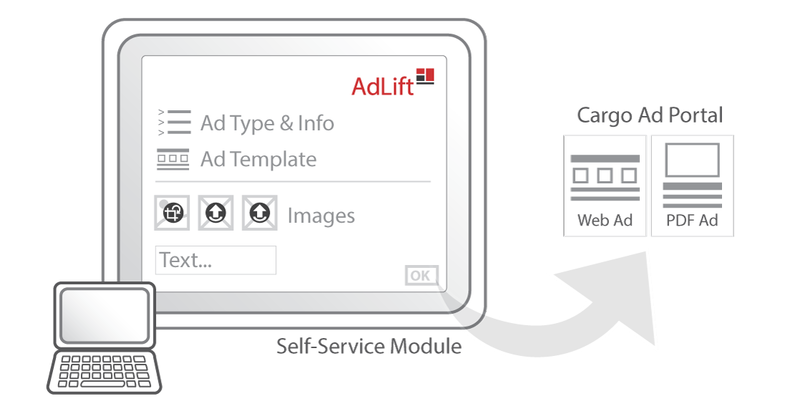 Production of ads for both web and print, or a combination, can be configured in AdLift. In a combined solution where the ad will be published both on web and in print, the customer can e.g. 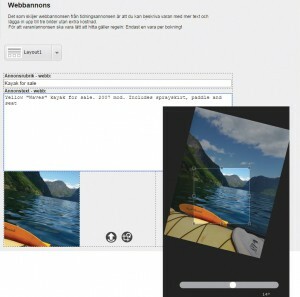 add extra images to the web ad, and insert different text for the web and the print ad. 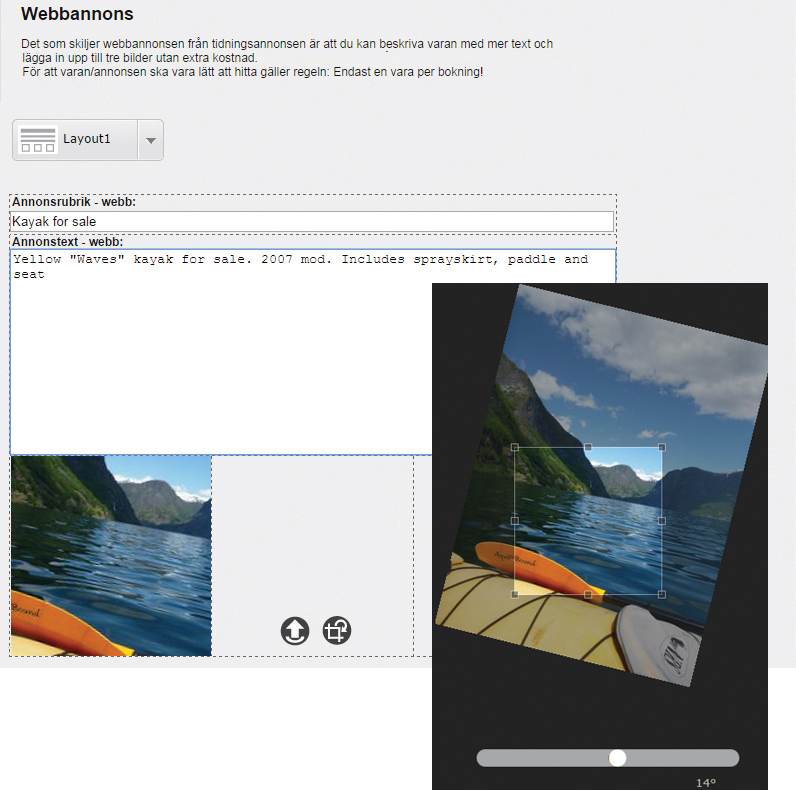 AdLift can be configured for the number of images, text-fields and drop down menus needed for any production. The ad templates can be created and adjusted in InDesign for use in the module. AdLift can be connected to payment services like PayPal. AdLift is installed on server, and provides a user interface which can be integrated in existing web systems / CMS. AdLift is a product developed by PressIT AS.